Both books added to the pile last week sound amazing: one continues the story begun in one of my favorite books read last year, and the other is the start to a new series that sounds fantastic! In case you missed it last week, I put up a review of Beneath the Haunting Sea by Joanna Ruth Meyer. It’s a wonderful story—even a book I found myself racing through during the second half—but I didn’t feel it was a wonderful novel due to some issues with pacing and the integration of the world history/mythology. However, it was a pleasant, enjoyable book even if it was not one I found especially memorable. On to the latest new arrivals! The second novel in the Book of the Ancestor trilogy, following Red Sister, will be released on April 3 (hardcover, ebook). 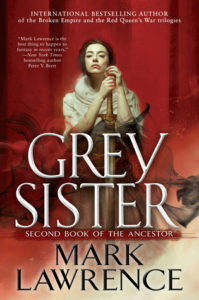 Grey Sister is one of the 2018 releases I’m most excited about: I absolutely loved Red Sister, which was toward the top of my favorite books of 2017 list. 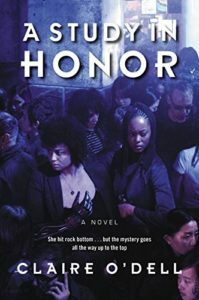 A Study in Honor, the first book in a new science fiction mystery series that the book’s blurb describes as Sherlock Holmes with a feminist twist, will be released on July 31 (trade paperback, ebook). A sequel, The Hound of Justice, is scheduled for release in summer 2019. 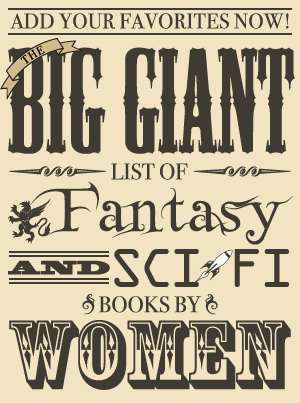 Claire O’Dell is a pseudonym for Beth Bernobich, author of Romantic Times Reviewers’ Choice Award Best Epic Fantasy winner Passion Play and the rest of the River of Souls series and The Time Roads.